BOE Marineis utlized by many manufacturers to liquidate closeout and discontinued units. These units are clearly marked on our site, and represent a great deal. Sometimes we even get remanufactured units. These are also clearly marked. Otherwise, everything else on our site is brand new. These closeouts and remans represent great deals. Our customers have been taking advantage of these sales for over a decade, and we have come to be known as a great resource for deals like this. 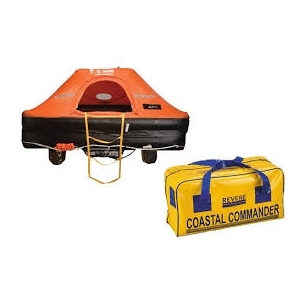 Revere Liferafts - Best Prices All Year Long! We have the best "delivered" price on Rvere rafts, we will not be undersold.